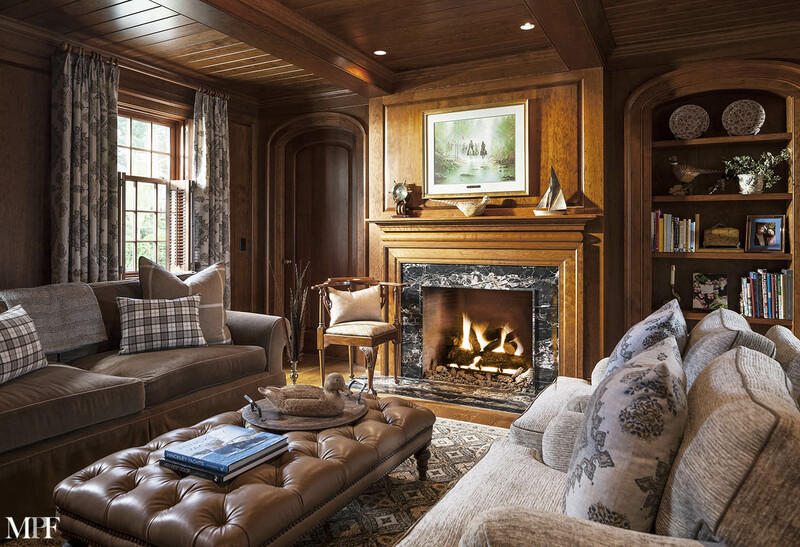 Located at the mouth of Southport Harbor, this historic 19th century Colonial revival residence overlooks the Long Island Sound. 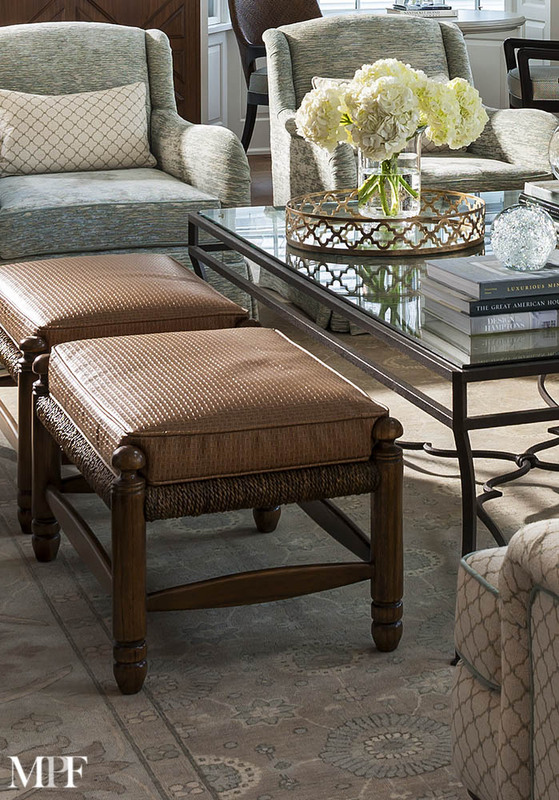 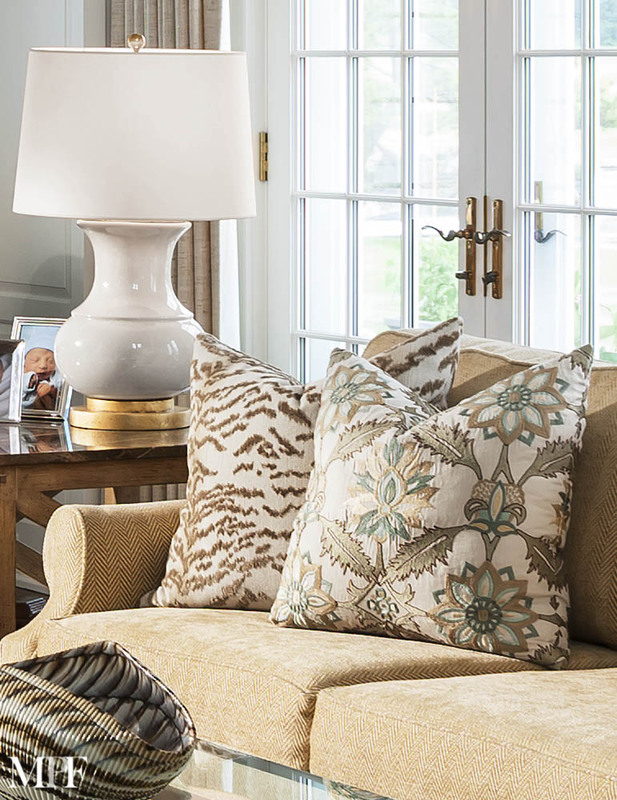 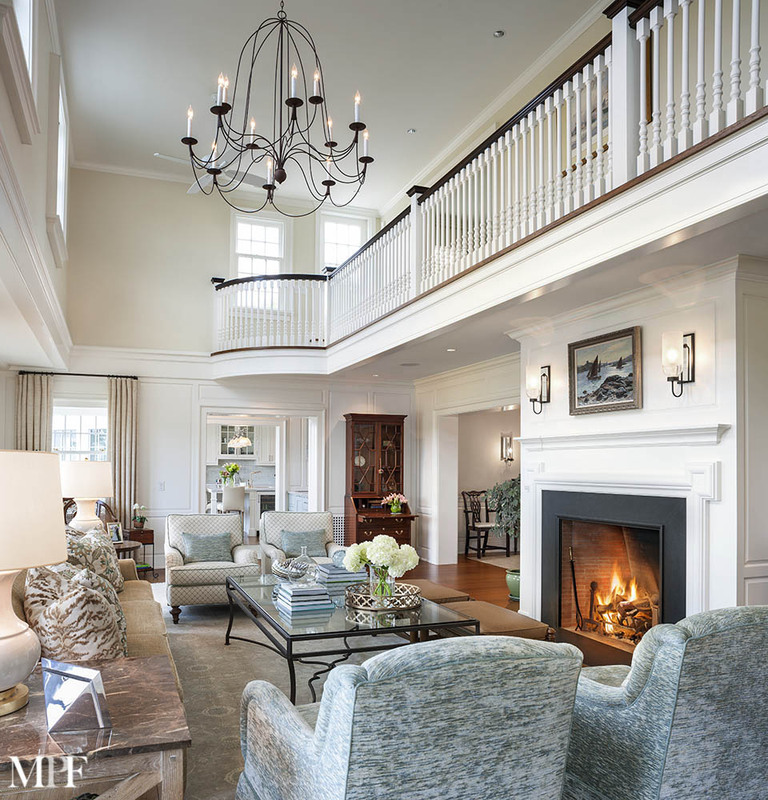 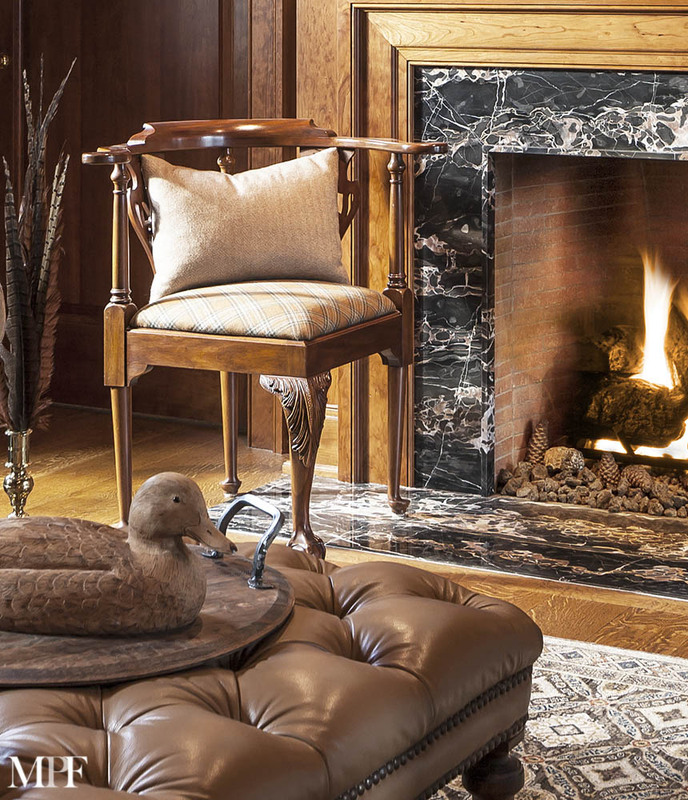 MPF Interiors made historically appropriate updates to the interiors for a twenty-first century contemporary classic style. 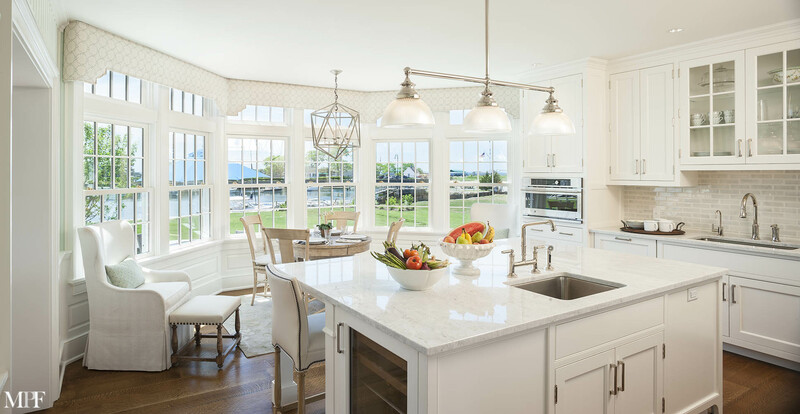 The new kitchen overlooks the harbor through a set of bay windows, flooding an abundance of natural light. 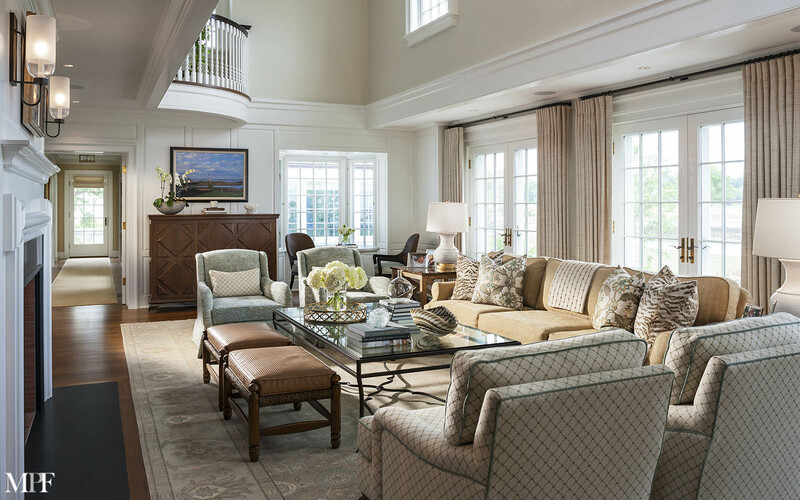 The clean design and subtle colors blend to enhance the view instead of competing with it, only adding to the visual delight of the space. 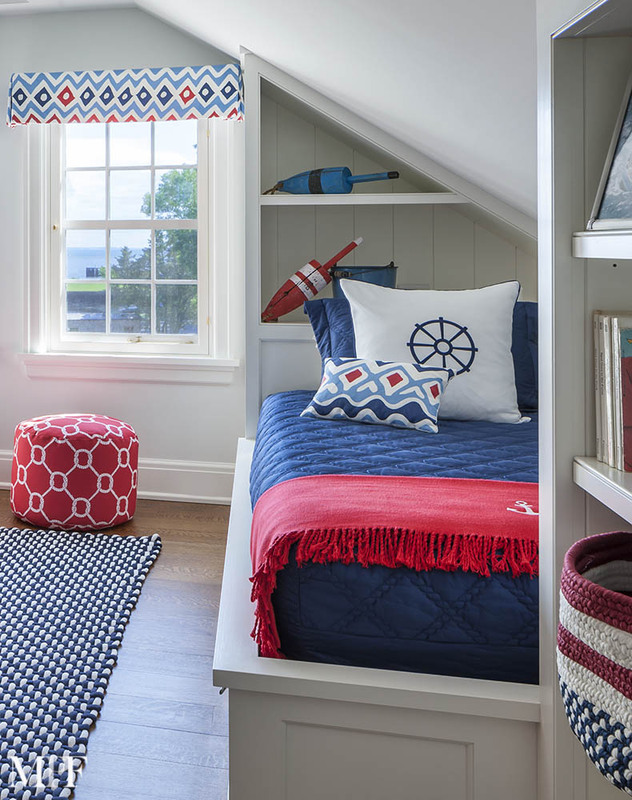 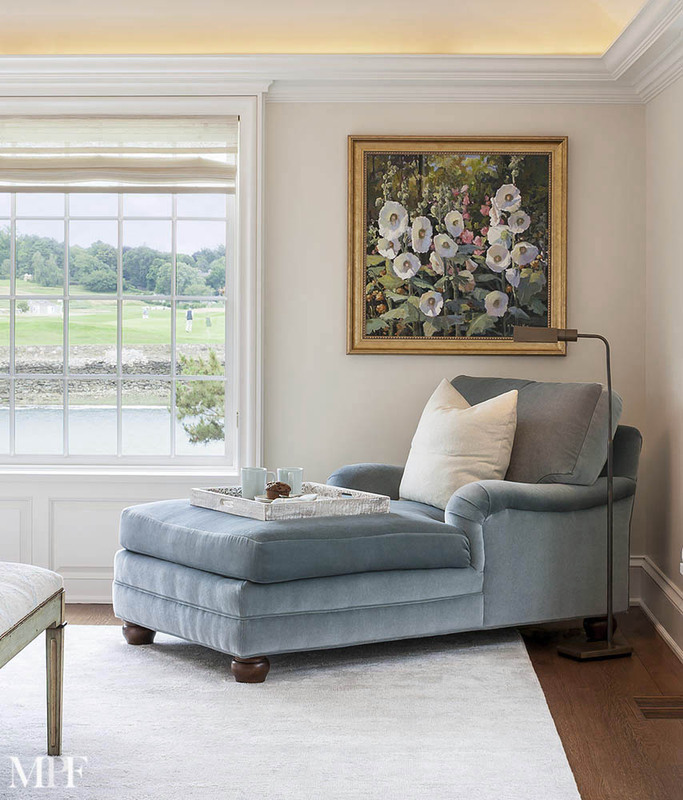 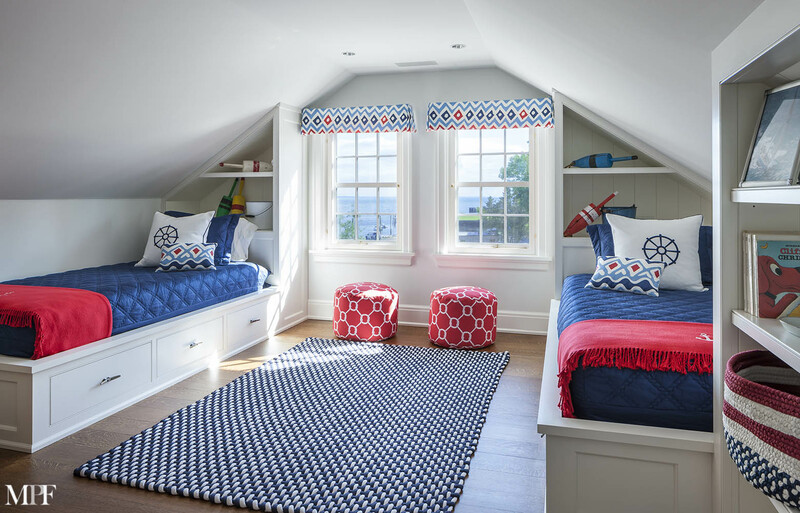 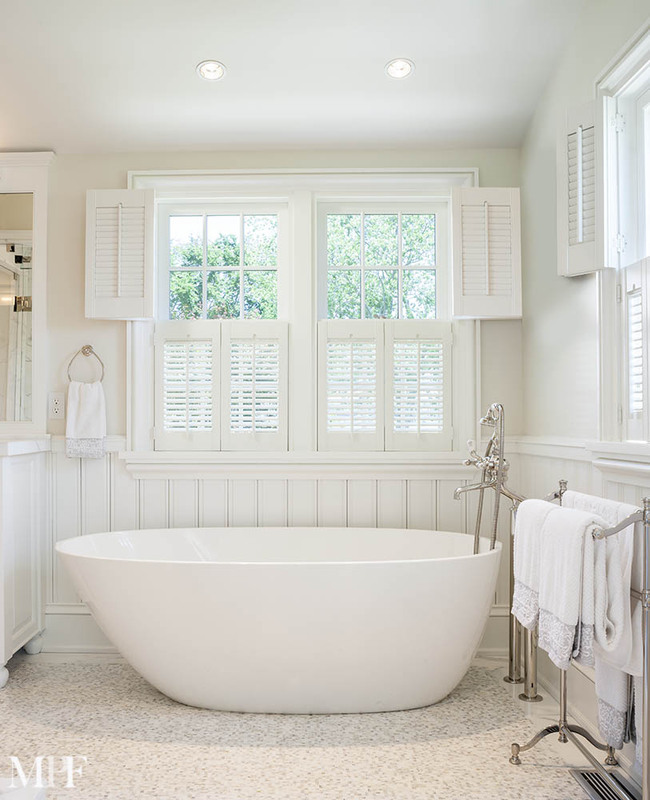 The new master suite is situated to take full advantage of the waterfront views both up and down the harbor and is the perfect juxtaposition of modern design and classical elegance. 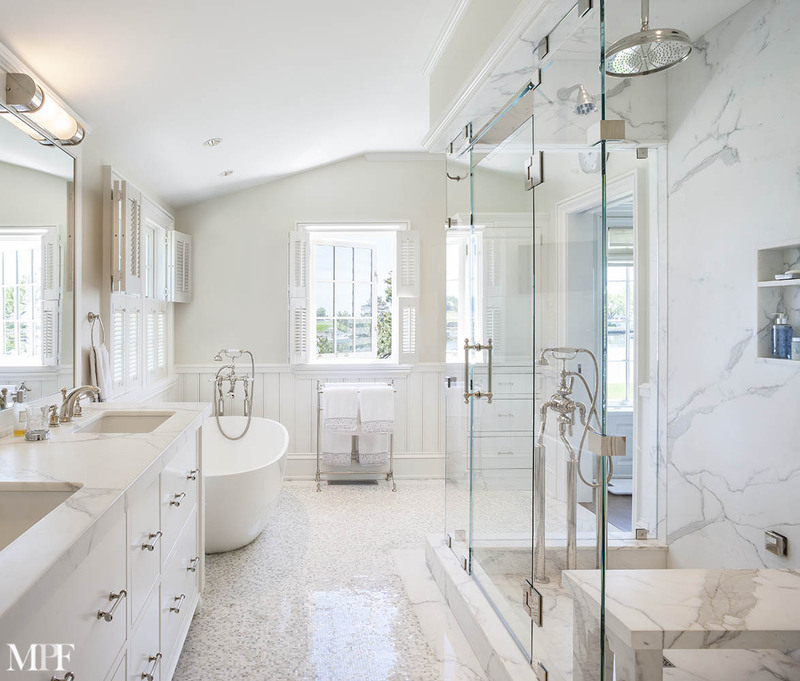 The spacious and dramatic master bath shower was made entirely from a single slab of white marble framed in glass, creating a room within a room feel.